Hello, chocolate. 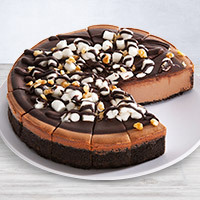 This sinfully rich cheesecake is a chocolate connoisseur’s dream. 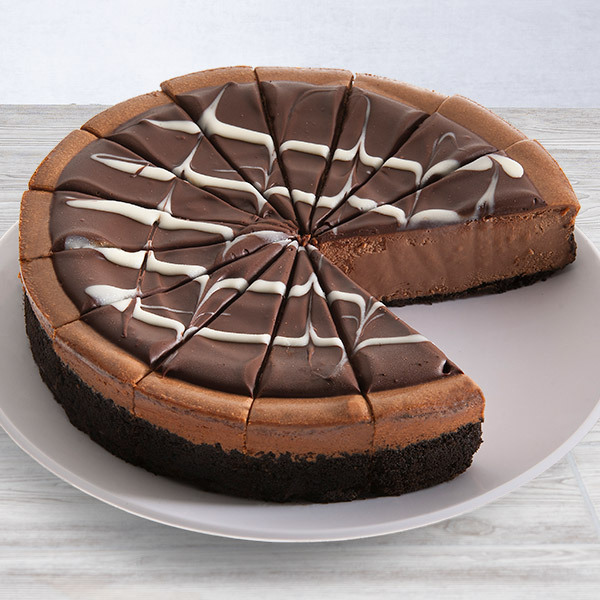 Comprised of our smooth chocolate cheesecake that’s slowly baked into a crunchy chocolate cookie crust and topped with a rich satin chocolate glaze, this divine cake is sure to impress. 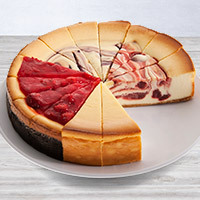 The cheesecake was very rich and terrific,thanks fo a great product. This is great! Not to sweet. Perfect creamy texture. Arrived still cold. Can't wait to order another.